Blanes is known for its long, clean beaches — and its blue-flag-quality seawater. 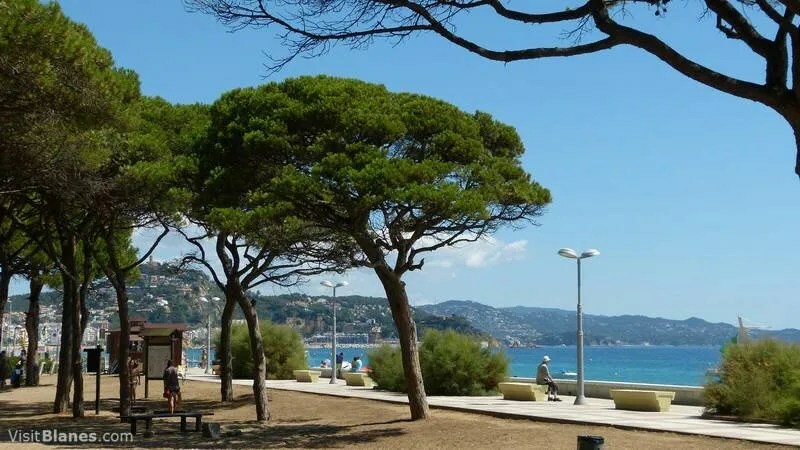 It is no wonder that most of Blanes’ hotels and campings are located here. Now, as you may already know, we normally recommend that tourists stay at self-catering apartments. The hotel is located just 100 meters from beach. It is ideal for families, the comfortable rooms have private bathrooms, TVs and balconies — and (important to us) very good bed. The hotel has a classy dining room with an extensive buffet. We had plenty of good food and enjoyed the variety of dishes on offer. When you’re not at the beach or at the pool you can enjoy relaxing at the bar, on the terrace or in the lounge. The El Pins area provides everything a vacationing family would need – from children’s playground to discos, and from supermarkets to snack bars and fine restaurants. Old-town Blanes is within walking distance. You can also rent bicycles at the hotel, or use the nearby ‘tourist train’ to travel back and forth between downtown and the hotel. Note: As is true throughout this entire website, the information provided above is an unsolicited, unpaid recommendation made by private individuals who do not receive any renumeration for doing so. In other words: we recommend the place for no other reason than that we think it deserves to be recommended. Stella Maris is a great hotel. My boyfriend and I have stayed here twice and we will be back next year. We like the location: not too far from town, right in the middle of all the action, and very close to the beach. What is nice too is that this is a family-type hotel. It’s pretty relaxed, but classy enough to discourage boisterous louts from staying here. The pool is not all that big, but then the beach is just minutes away! We were pleasantly surprised by the quality of the food. Nice staff as well! We highly recommend Stella Maris. Our family stayed here last year! We found Hotel Stella Maris via the Internet. We were looking for something basic… a place that wouldn’t cost and arm and a leg, and where our children (ages 7-16) would have plenty to do. Fortunately that is exactly what we got. All of us enjoyed the hotel, the neighborhood and the fantastic beach! Can’t say much about the food on offer. 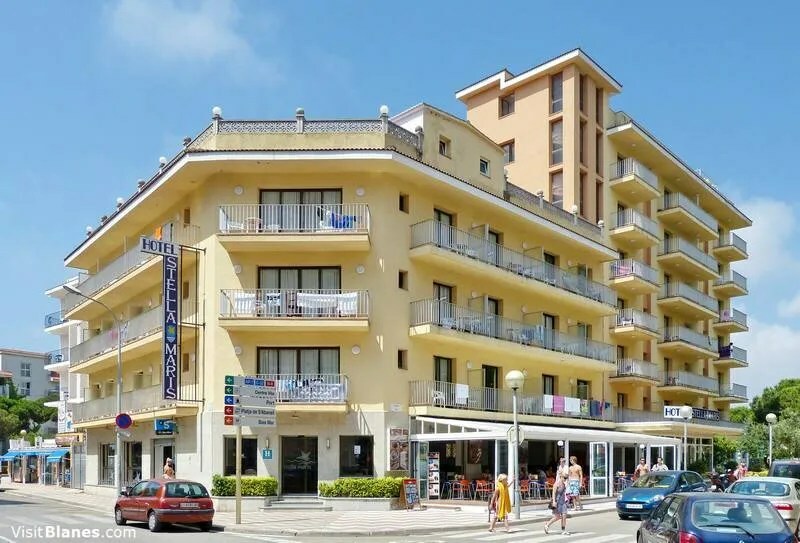 The few times that we did eat at the hotel the food was good, but the area and the town of Blanes itself offers so many fine restaurants (and the prices are so cheap) that we found ourselves eating out almost every day. One thing: we travelled to Blanes via Barcelona, but next year we will book a flight to nearby Girona.